HffHCM City's FootballLeagues2013 HCM women’s Futsal championship. 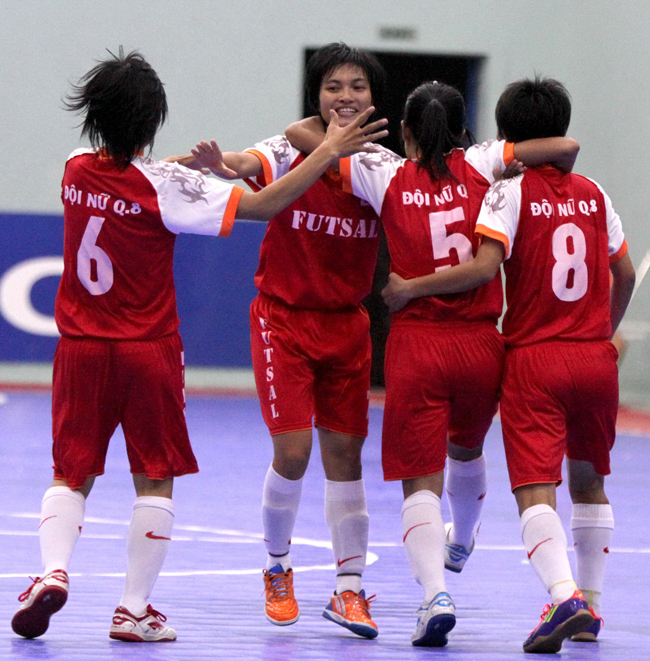 2013 HCM women’s Futsal championship. This champ is aimed to develop and improve level and training of indoor soccer (Futsal) for female players and coaches; to find and nominate talents for national team which is attending Asian Indoor Games in 6/2013 at Inchoen Korea and Seagames 27 in 12/ 2013 at Myanmar. 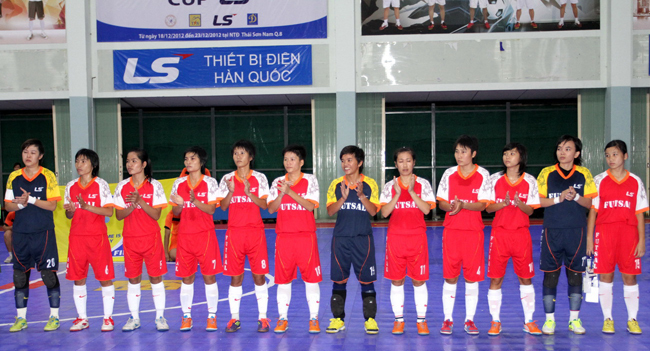 Ho Chi Minh city Football Association organized “2013 HCM Women’s Futsal champs ” which is considered as the top women’s Futsal tournament for teams in HCM city. That is officially opened on the evening 19/3/2013 at Thai Son Nam Arena – district 8 including teams: District 8, Hong Bang International University, Tao Dan youth QI, Tanimex Tan Phu and Tao Dan QI. All teams will compete in rounds with final ranking score. The Tournament is expected over on 27/3/2013. 5. 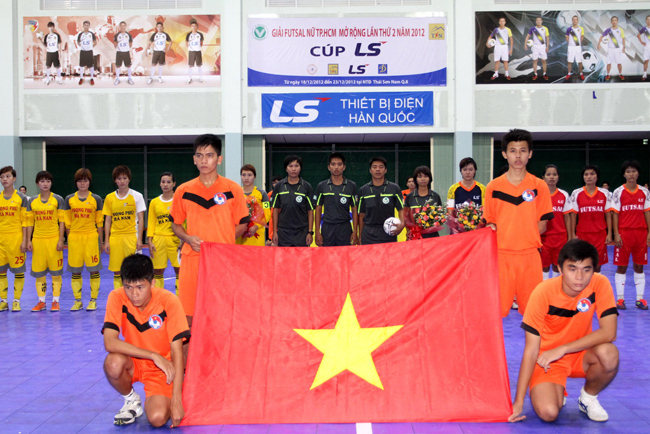 2012 LS Women’s Futsal Open: champion: Hanoi, second : Thai Son Nam District 8 and third : District I.